Commuters have been advised to plan their journeys in advance to avoid delays due to so that they do not get delayed due to the traffic restrictions for the Republic Day parade between Vijay Chowk and Red Fort grounds in the national capital on Saturday, officials said. The traffic police have deployed 3,000 personnel to manage route diversions and ensure a safe and secure passage for the visiting dignitaries. 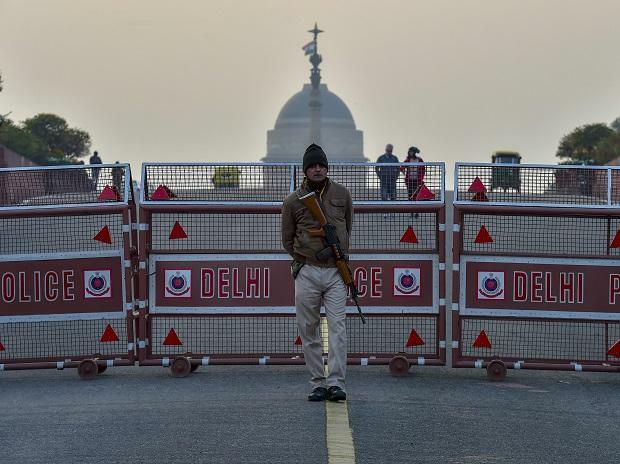 According to an advisory released by the Delhi Police, the Republic Day parade will start at 9.50 am from Vijay Chowk and proceed towards the Red Fort grounds through the Rajpath, India Gate, Tilak Marg, Bahadur Shah Zafar Marg and Netaji Subhash Marg. The function at India Gate will begin at 9 am, Joint Commissioner of Police (Traffic), Alok Kumar, said. In order to facilitate smooth passage of the parade, no traffic will be allowed on Rajpath from Vijay Chowk to India Gate from 6 pm on January 25 till the parade is over, the JCP said. Cross traffic on Rajpath from 11 pm on January 25 at Rafi Marg, Janpath, Man Singh Road will not be allowed till the parade is over. 'C'-Hexagon-India Gate will be closed for traffic from 2 am on January 26 till the parade crosses Tilak Marg, Kumar said. From 10 am on January 26, traffic on Tilak Marg, Bahadur Shah Zafar Marg and Subhash Marg will not be allowed on both flanks. Cross traffic will only be allowed depending on the movement of the parade, he added. Commuters are requested to plan their journey in advance accordingly and avoid the route of the parade from 2 am to 12.30 pm for their convenience, he said. Movement of buses will be restricted at Park Street/Udyan Marg, Aram Bagh Road (Paharganj), Kamla Market, Delhi Secretariat (IG Stadium), Pragati Maidan (Bhairon Road), Hanuman Mandir (Yamuna Bazar), Mori Gate, Tiz Hazari, Kashmiri Gate ISBT and Sarai Kale Khan ISBT, police said. Buses from Ghaziabad for Shivaji Stadium shall take NH-24, Ring Road and terminate at Bhairon Road. Buses coming from NH-24 shall take right turn on Road No 56 and terminate at ISBT Anand Vihar. Buses coming from Ghaziabad will be diverted at Mohan Nagar towards Bhopra Chungi for Wazirabad Bridge. All inter-state buses coming from Dhaula Kuan side shall terminate at Dhaula Kuan, the advisory stated. Metro service shall remain available at all stations during the Republic Day parade. However, boarding and de-boarding will not be allowed at Central Secretariat and Udyog Bhawan from 5 am till 12 pm, Lok Kalyan Marg (Race Course) and Patel Chowk from 8.45 am to 12 pm, Kumar said.